Thank you for signing the Guest Book for Henry Adler Sosland. The Journal News and Hellman Memorial Chapels thank you for signing this Guest Book. For additional details on the funeral home (directions, service arrangements, pre-planning), click here. This Guest Book will remain online permanently courtesy of Hellman Memorial Chapels. Please take a moment to sign the Guest Book for Henry Adler Sosland. Rabbi Sosland will always be remembered by our family as a wonderful, kind, compassionate, and selfless spiritual leader. We will miss seeing him and sharing a smile at the synagogue in recent years. 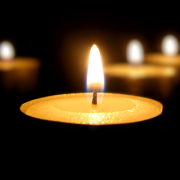 Condolences to the Sosland family. Our condolences and Love to you all. The world has lost a true "Mensch". Thoughts of wonderful times and experiences with you all and my rides into the city with Henry each week remain with us as cherished memories. To Mrs. Sosland and the entire Sosland family, my deepest condolences on the loss of your beloved husband, father and grandfather. Rabbi Sosland will always be remembered with fondness, respect and gratitude. Send me a daily email when updates are made to the obituary or Condolence page for Henry Adler Sosland.